The City of Indianapolis hosts the annual VEX Robotic Championship for elementary, middle school, and high school students. Students from the North Central High School and Northview Middle School Robotics Teams participated. Indy organized the VEX Robotics Championship (IndyVRC) in an effort to help promote science, technology, engineering, and math (STEM) initiatives within the city. As the global economy continues to move toward STEM-focused enterprises, Indy must continue to develop a future workforce to meet that need. The IndyVRC engages teams of students to design, build, and program a robot to compete against robots from other teams in a sports-like game. 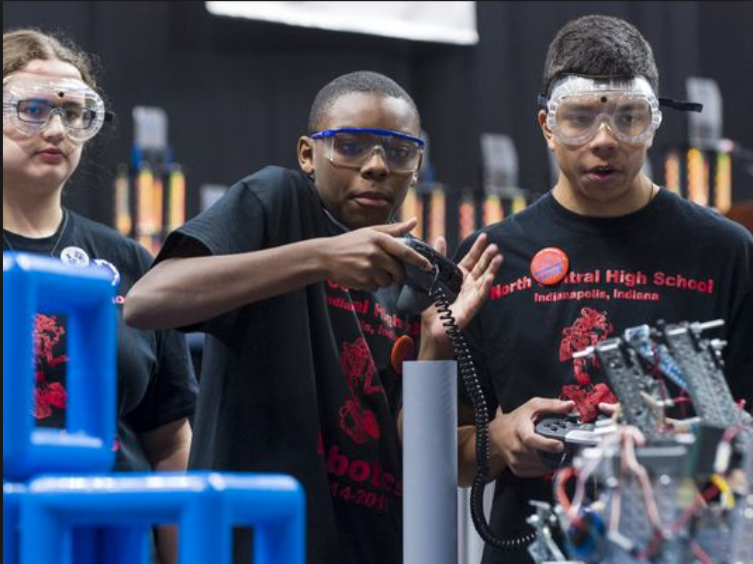 The 3rd annual City of Indianapolis VEX Robotics Championship was a success with over 130 school teams competing Nov. 15 – 16, 2014. The STEM Fair was host to over 35 booths featuring hands-on STEM learning activities such as robot chess and mathematics pentathlon.